As 2018 draws to a close, we are looking forward to what 2019 will hold for the private rented sector (PRS). 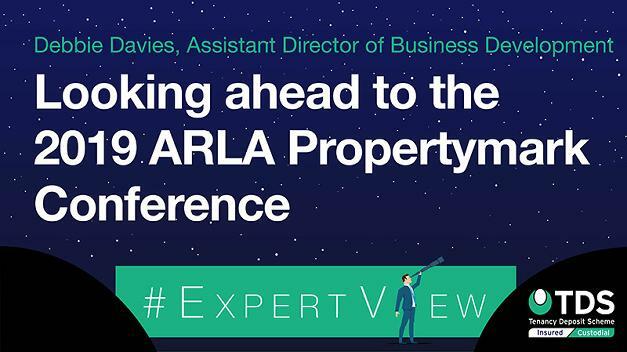 On 2nd of April 2019, the ARLA Propertymark Conference will be held at ExCeL London and Tenancy Deposit Scheme will be co-sponsoring the event. ARLA Propertymark aims to raise standards amongst letting agents, from independent outfits to larger organisations, in order that letting agents, landlords and tenants can enjoy a better experience when finding and managing a property. Delegates will be able to find out about legislation pertaining to the industry and the educational aspect of the conference is something we relish. TDS has a mission to raise awareness of Tenancy Deposit Protection to tenants and those working within the sector.